Ireland's trio of Paula Grant, Maria Dunne and Mary Doyle have been drawn with Chinese Taipei and Norway the World Amateur Team Championships, which start in Japan on Wednesday. They will begin their week on the 6,309-yard Oshitate Course at Karuizawa 72 Golf East, which is an hour from Nagano and two hours from Tokyo. The men's team of Paul Dunne, Gavin Moynihan and Gary Hurley will do battle for the Eisenhower Trophy over the same courses next week. WHAT ARE THE WORLD AMATEUR TEAM CHAMPIONSHIPS? Conducted by the International Golf Federation, which comprises the 137 national governing bodies in 131 countries, the World Amateur Team Championships are a biennial international amateur golf competition that rotates among three geographic zones of the world: Asia-Pacific, Americas and Europe-Africa. Each team has two or three players, who each play 18 holes of stroke play over four days. In each round, the total of the two lowest scores from each team constitutes the team score for the round. The four-day (72-hole) total is the team’s score for the championship. During the Espirito Santo Trophy competition for women, 18 holes of stroke play will be conducted Wednesday 3 Sept., through Saturday 6 Sept., at Karuizawa 72 Golf East’s Oshitate and Iriyama Courses. From Wednesday 10 Sept., through Saturday 13 Sept., the Eisenhower Trophy competition for men will also be conducted at Karuizawa 72 Golf East’s Oshitate and Iriyama Courses. A total of 51 teams will compete for the Women’s World Amateur Team Championship. The World Amateur Team Championship will have a full field of 72 teams, tying the record of 72 in Turkey in 2012. The Oshitate and Iriyama Courses at Karuizawa 72 Golf East will be set up at 6,309 yards/5,765 meters and 6,311 yards/5,768 meters, respectively. The Oshitate Course will play to par of 34-38-72, whereas the Iriyama Course will play to par of 36-36-72. Ireland will begin their defence of the European Senior Ladies Team Championships at Gut Altentann Golf Club in Austria this week. Having won the 2013 Championship in Bled, Slovenia, the winning combination of Suzanne Corcoran (Portumna), Pat Doran (Donabate), Sheena McElroy (Grange), Gertie McMullen (The Island), Carol Wickham (Laytown/Bettystown) and Irish Seniors Close champion Laura Webb (East Berkshire) will go for glory again at the Jack Nicklaus course that hosted Austrian Open for 1990 to 1992. He shot rounds of 71-69-73 to win by one stroke from Kristian Caparros and Brad Dalke on 213 with Portmarnock's Conor Purcell (80-76-80) tied for 65th on 236 and Wentworth's Eoin Leonard (81-85-85) 77th on 251. All the finalists from Connacht for the Private Home Care Inter-club Championship All Ireland Finals have been decided, writes the ILGU. The finals will take place in Monkstown Golf Club Cork from Wednesday 24th to Saturday 27th September. All matches were very closely contested with some excellent golf being played by all contestants in very changing weather conditions in Athlone Golf Club over the two days Friday and Saturday. Roscommon won the Senior Foursomes, Gort the Junior Foursomes, Castlebar the Junior Cup for just their second ladies Connacht pennant in their 102 years in existence. (Their previous pennant was won in 1990). Paula Grant joins Leona Maguire and Stephanie Meadow on the plane to Turkey for the Espirito Samto Trophy later this month. 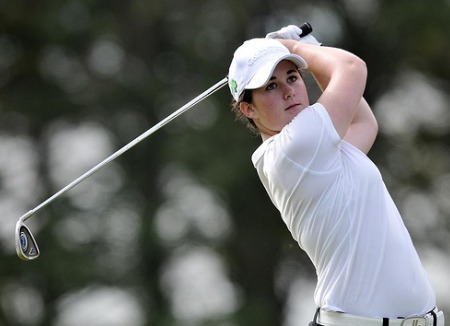 Picture via ILGUThe Irish Ladies Golf Union is sending a strong team to compete in this month’s Women’s World Amateur Team Championships in Turkey.